In celebration of Women’s History Month - Seattle Southside Chamber & KD Hall Present: Women’s Career Empowerment Event . 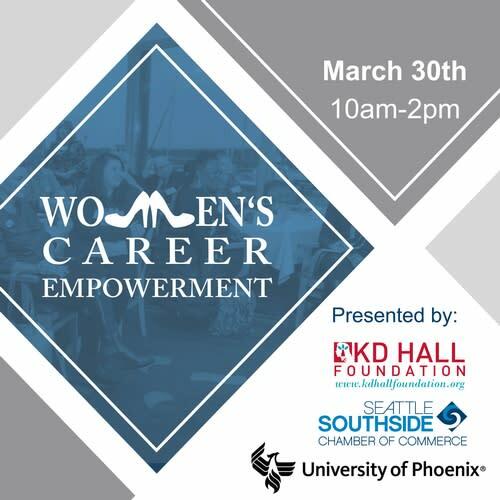 This women's history month take charge of your career by attending this complimentary event with subject matter experts and inspirational keynote speaker KD Hall. YMCA will be in attendance offering complimentary daycare with certified teachers. This event is presented by KD Hall Foundation, the Seattle Southside Chamber of Commerce and the University of Phoenix.